Hey guys! It’s been a REALLY long time since I’ve done a “Get it or Skip it” post. I have been hoarding Asian skincare products lately so I figure it’s about time I weigh in on one. Back in April, I went to China and purchased an obscene amount of face masks. 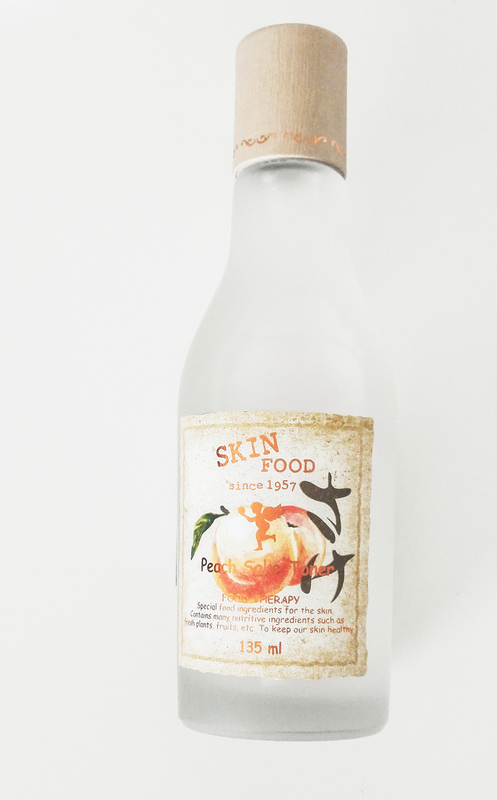 It’s recommended to apply a toner to clean/open up your pores prior to using a sheet mask so I ordered the Skin Food Peach Sake Toner from Amazon. I have to admit that the 90% of the reason I purchased the toner was because of the packaging. I’m a total sucker for cute packaging, I just can’t help it. They have so many toners based off of different foods that I’ll need to try them all! Healthy skin starts with food. SKINFOOD is the first cosmetic brand to root itself in food. We believe that nutritive food results in nutritive beauty for healthy, beautiful skin. Our food philosophy drives our product development to ensure that only the highest quality food ingredients are used to create a more beautiful, healthier lifestyle. A refreshing toner revitalizes tired and stressed skin with a few swipes. while peach extracts boost skin’s ability to regenerate itself, leaving skin noticeably healthier looking with a radiant glow. Recommended for oily and acne-prone skin types. I have been using it sporadically (shame on me) for the past month and a half and I like it a lot! It doesn’t have an overpowering peach scent which I really like. Every time I use it, I’m a little ashamed of the dirt I see on the cotton pad but at least I know it’s doing the job! I even used it on the Mr and he was both disgusted and impressed. It really is refreshing and you can instantly see the mattifying effect afterwards. The downside is that I don’t notice much, if any, pore shrinkage. It could be due to the fact that I don’t religiously use it like I should. Like they said, this product is recommended for oily skin. It does strip a lot of the oils on your skin so I wouldn’t risking it if you have normal to dry skin. At only $15, it is an affordable toner to keep in your arsenal. I say get it if you’re looking for a handy toner that smells yummy (and cute at that). But if you’re specifically looking to minimize pores then I would look elsewhere. 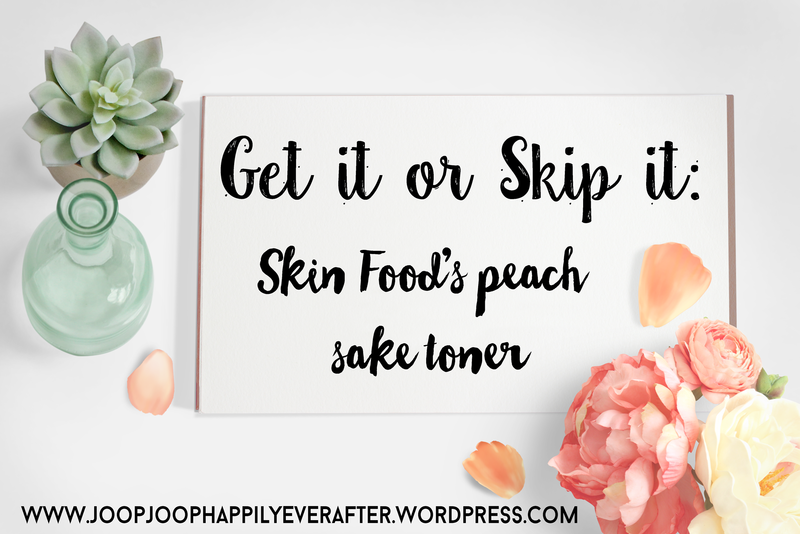 I have read that people have noticed pore shrinkage when they use the entire peach sake line. I personally won’t be purchasing this one again any time soon because I’m dying to try all the other (adorable) toners from skin food. But I do see it as a contender for a future buy. I am currently looking for new skincare products to try out. Please let me know if you have any suggestions!